Tyrone (from the Irish Tír Eoghain) is the land of Eoghain, a son of Niall of the Nine Hostages, whose descendants spread out of what is now Donegal moving south across Ulster giving rise to the main families. In what became Tyrone, the main names were O’Neill, Donnelly, Quinn, McKenna, McLaughlin and Devlin. The O’Neills were the main Ulster family for four centuries, presiding over a semi-feudal system and battling encroachment both from Anglo-Norman and other Irish forces. 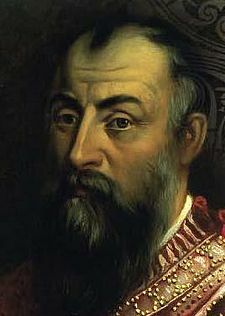 The last O’Neill chieftain was the great Hugh, Earl of Tyrone (1540-1616), who led the final resistance by Gaelic Ireland, until in 1607, with fellow chieftains, he removed to Europe in the ‘Flight of the Earls’.